A label printer is a must-have item if you sell on Amazon, eBay, Etsy, or another online store. This tool is how you’ll get your items ready for shipping. There are a few different types out there to be aware of before you choose. We’ll cover our favorite picks below, but first, let’s look at some features to consider. There are countless advantages to thermal printing. For one, there’s no need to replace expensive ink cartridges. This also means more consistent results and a smaller size. If you need to print lots of labels, this will save you lots of money and frustration over time. The printers below are all thermal. A high resolution is essential for proper labeling because you need legible print that complies with official standards and doesn’t confuse couriers. 200 dots per inch (dpi) is enough for most purposes, but you may need 300 for some purposes. Time is money. If you need to print high volumes, printing speed will have a big impact on general productivity over time. A good label printer will serve all your label printing needs, and you may not know when those will change. A large maximum size is essential, and it also helps if you can use a variety of labels. Brand-specific papers tend to be costly, so you may save a lot of money if you can use other alternatives. Furthermore, some printers use sticker rolls while others use fan-folded stacks. There are ones that take both. While neither is better than the other, you may have a preference based on what you have in stock. The ROLLO Label Printer is a versatile and cost-effective label printer that’s ideal for selling things online. With a printing speed of 150 millimeters per second, it can print up to 238 labels for you in a minute. Plus, the quality doesn’t suffer one bit from the speed, coming in at 203 dpi. What’s cool about this label printer is that it’s compatible with all direct thermal printing labels between 1.57 and 4.1 inches wide. This includes the ones you get from UPS. The length doesn’t matter, and the ROLLO Label Printer automatically detects the label dimensions with the push of a button. ROLLO brand labels are ideal. Also, the same level of versatility applies to logistics and platforms. For example, you can easily use it with eBay and Shopify. It supports all the big shipping carriers and online selling platforms. As for computer compatibility, it works with all modern Windows and Mac systems with the same ease as an ordinary printer. With its rugged, portable design, it’s also useful when you’re on the go. Check the price of the ROLLO Label Printer on Amazon. 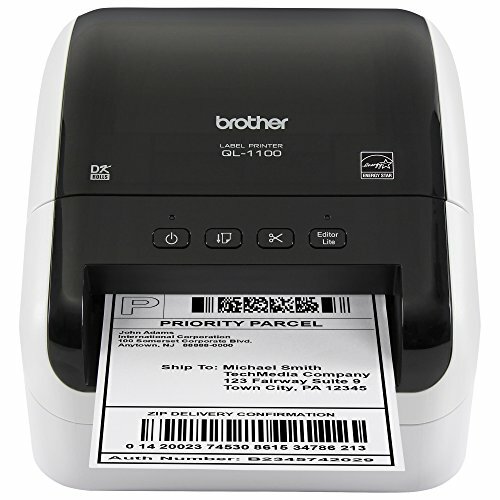 The Brother QL-1100 is a “Plug & Label” printer, which means it doesn’t require any special software for ordinary functionality if you’re a Windows user. It works right away, and you can print directly from common apps. You also get network management tools and software development kits (SDKs) that help you integrate it with both Windows and Android systems. Regarding printing speed, you’ll get up to 69 standard address labels each minute at full 300dpi resolution. As for label formats, it uses rolls and can handle widths up to 4 inches. It’s good for mailing and postage labels, and you can use it to print other labels and tags for your workplace as well. The Brother QL-1100 automatically identifies the size of your tape and adjusts its settings and the on-screen template. It can also crop labels automatically, which is especially convenient for making barcode tags out of standard sheets. However, these features are only available to Windows users. Together with the portable design, the plug-and-print nature makes it suitable for on-site printing. Moreover, it has a USB host interface that lets you use it with scanners and other peripheral devices. You’ll get the best results with official Brother DK label rolls, and this ensures that you don’t damage your printer or void the warranty. However, it does work with a variety of third-party labels too. Check price of the Brother QL-1100 on Amazon. The DYMO LabelWriter 4XL is a very compact label writer, but it can print labels in sizes up to 4 by 6 inches. It’s compatible with most major selling platforms and couriers. It’s suitable for large-volumes of labels for shipping, mailing, and storage. For additional ease and efficiency, you get DYMO’s Productivity Software suite for Mac and Windows computers. For example, you can scan and convert physical documents with DYMO file or verify zip codes and addresses with Address Fixer. There’s also labeling software, with more than 60 professional templates for faster productivity. However, you can also print straight from Microsoft Word and other common software with ease. And with a maximum resolution of 300 dpi, you can get legible labels compliant with USPS and international standards. It’s fast, too. In one minute, you can get 53 standard text-only address labels. Genuine DYMO labels will give you the best results, but it also works with other rolls. However, there must be a small hole between each label, or the printer won’t know where they end. 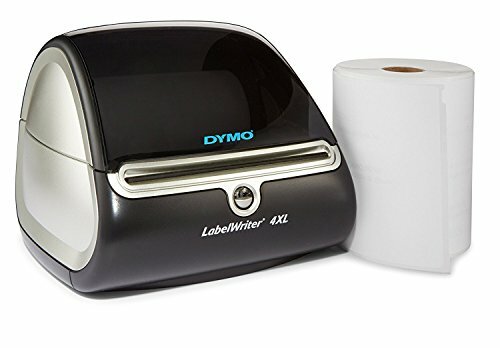 Check price of the DYMO LabelWriter 4XL on Amazon. 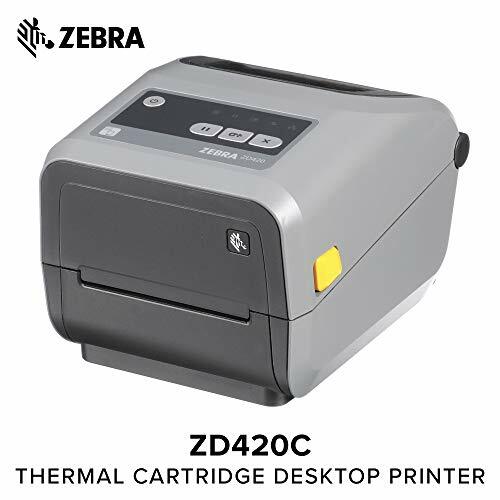 The Zebra ZD420t label printer is like a better, faster version of the popular Zebra GK series of printers. It takes any thermal label roll up to 4.25 inches wide with a 1-inch core and works with Macs and PCs. Plus, it’s Linux-compatible as long as you use CUPS printer drivers. This versatile printer that can print anything from name tags and wristbands to large international shipping labels. It’s energy-efficient, consistent, and durable. As for speed, it can go up to 6 inches per second at 203 dpi. With the ability to print exact amounts of labels on demand, you’ll avoid wasting material. With the Zebra Designer software, you can use a variety of professional templates for faster, easier workflow. Zebra-brand labels will give you the best results, but you can use others. Check price of the Zebra ZD420t on Amazon. 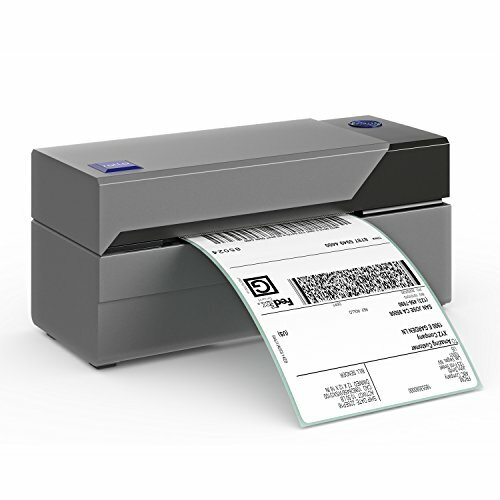 All four qualify as some of the very best thermal label printers for online selling. Which one is the ideal choice for you is individual. The operating system and software you use are big factors, and so is your resolution needs. It’s generally good to go for the best, but it may be unwise to pay extra for features and qualities you don’t really need.